One of the remarkable things about the OT Judge Deborah is her heart for God’s servant-leaders. She really cares that they prosper in God’s calling. Further, her passion to encourage leaders appears to play a big role in the positive change she helps usher into her culture. They should. Deborah’s character should be ours as well. Fascinatingly, a few days after I wrote that note, I received two little gifts. 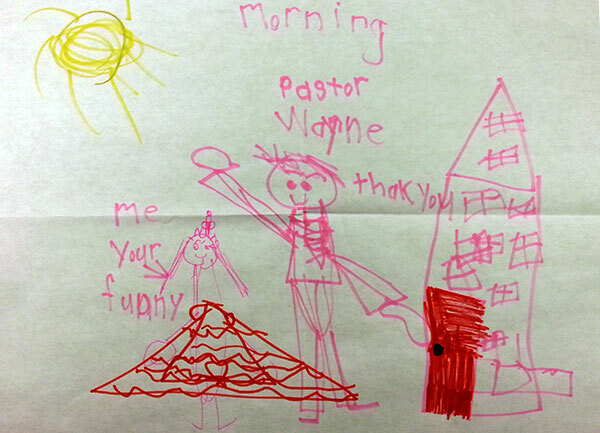 One was a letter from a precious little girl that encouraged me to keep teaching truth. The other was a paperweight from a man at church – a rock that has the word “courage” inscribed on it.